In Legacy, it’s easy to navigate my way through the family tree, by just clicking on the person in the family view that I want to move to. Although Legacy doesn’t show the index on the left hand side, like many of the other programs do, and you have to click on the Name List icon in the toolbar, once you are in the Name List, you can make edits while you are still in the Name List. All you have to do is select the tab to bring up which field(s) you want to edit. When you’re on the Family tab, you can view the details for other family members by clicking on the name, and you can go to that person to edit the details for that person by double clicking. Then while still in the name list, you can then look for anyone else in the database, and edit their details as well. This is possibly my favourite feature in Legacy, as it saves so much time clicking back and forth between screens. I am a fast typist, and as a result, I like to be able to use keyboard shortcuts to do certain tasks, rather than having to take my hands of the keyboard to navigate using the mouse. Legacy has many keyboard shortcuts to help me do this. One of my favourite shortcuts is the ability to be add or edit add an event, and then to use Alt 2 to automatically pick up the source/citation from the source clipboard and add it to the event, or Alt 1 to set up a new source/citation, without having to navigate to the source screen. As well as the source clipboard, Legacy also has the ability to copy and paste events. This is especially useful when adding a census event to each person in a household. You just set up the event for the head of the household, and the source for that, and then you can use the Event clipboard to paste that event, with the source, to the other members of the household. 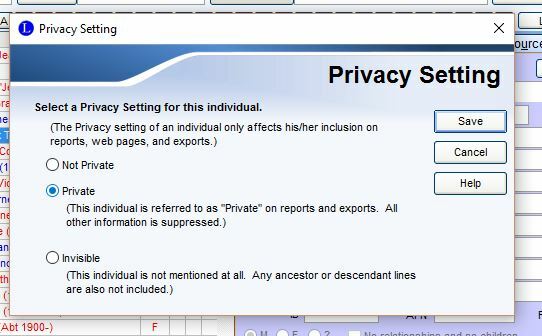 While other programs allow you to privatize events, and notes, Legacy is the only program I have found that allows you to choose privacy settings for individuals in your tree. If you have living people in your tree, but don’t have a date of birth, without a date the online programs can’t determine the person is still living. You could use an estimated date of birth, but in Legacy you can mark the person as Private, so that their name is kept hidden. The other option in the Privacy Settings is Invisible. This means you can elect to not include these people when producing reports and GEDCOMs. This can be useful for lines that you haven’t confirmed yet, or for families that wish to not be included in online trees and/or reports. 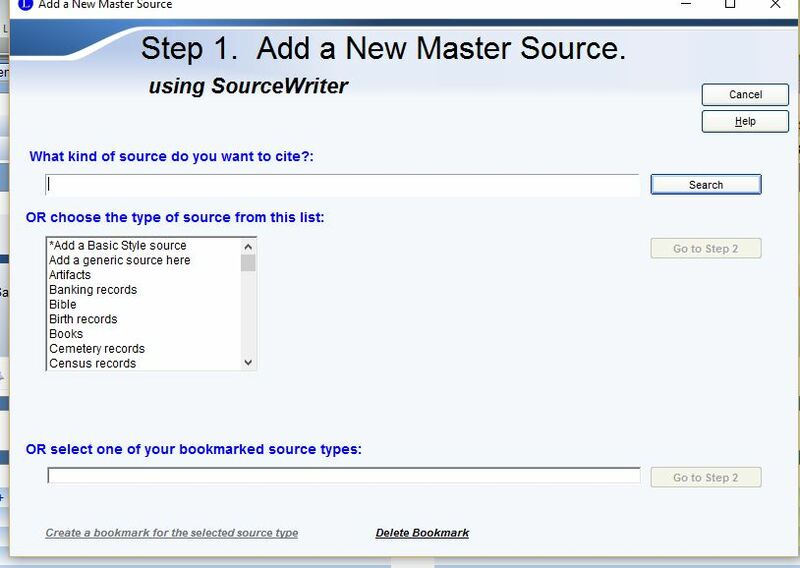 Although RootsMagic (and Family Tree Maker) also have source templates, Legacy has a more comprehensive range of templates than RootsMagic. 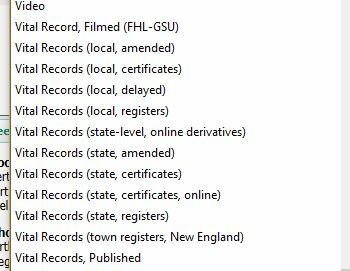 For example, RootsMagic doesn’t have any templates for the Scotland Censuses, while Legacy does. It is also easier to find the source template you need in Legacy. As an example, there are 3 options for birth events, and then a further range of options for Vital Records. How do you know which one to use?